Only authenticated nodes can join network. Device to device, mobile or cloud. Many application and ecosystem choices. End-to-end security and standards based. Border Router to expand to other networks. 16 channels allowing separation of networks. A Leading Edge Technology Provider. Kirale Technologies offers the world’s most integrated and easy-to-use wireless solutions in order to develop and deliver connected products based on Thread technology. Our fully-integrated hardware and firmware products are turnkey solutions with true low-power and low-cost features, specially suited for manufactures and system integrators who wish to focus on value-added features and to achieve the fastest time-to-market and the lowest development risk. Thread is an IPv6 networking protocol built on well-proven open standards, including IEEE 802.15.4, IETF IPv6 and 6LoWPAN, and designed for low-power mesh networks. Existing popular application protocols as Dotdot, OCF, LWM2M, and IoT platforms can run over it. Completely self-contained RF modules with single Modular approval that allows to incorporate them into another product, host or device with no additional RF testing required, enabling a quicker time-to-market and requiring a minimal RF and Thread expertise. Thoughtfully engineered from the ground up by Kirale, KiNOS redefines consistency, stability and performance in 802.15.4 networks. Incorporating enterprise-class features and resiliency, KiNOS provides a major upgrade for your network infrastructure. Kirale introduces new tools to speed-up product development, enabling quick prototyping, minimizing time and overall cost and providing designers with confidence that their connected products will work as expected. Thread and RF certified modules with world’s smallest form factor that enable developers to miniaturize IoT designs by minimizing the PCB footprint. 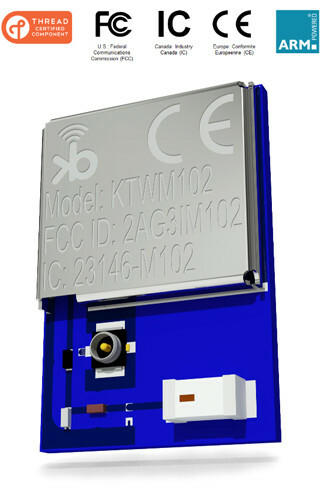 The KTWM102 series provides Thread connectivity featuring the most energy-efficient ARM® Cortex®-M0+, a best‑in-class 2.4GHz RF transceiver and a high-efficiency on-board chip antenna or W.FL connector for long range applications. RF modular approval including USA, Canada and EU. Tiny form factor (16.6 x 11.4 x 2.2 mm). Native USB 2.0 and Serial interfaces. Kirale Real-Time Network Operating System, called KiNOS, is a high-performance, secure, robust and scalable Thread Certified Stack tailored for wireless low-power IP-enabled embedded devices and suitable for all Thread roles from ultra-low-power End Devices to powerful Border Routers. Fully-engineered by Kirale Technologies, KiNOS has been built from scratch to optimize footprint and performance. Designed to be small, simple and easy-to-use and with a very portable source code structure that facilitates its customization and portability. Features native USB-DFU and UART firmware upgrade support with end-to-end AES-EAX encryption and version control. Protects the device from unofficial firmware and guarantees a fail-safe update process and a longer-lasting product. Preemptive RT system that provides a predictable execution pattern, an isolated run-time stack for each task and a dynamic storage allocator based on lock-free, fine-grained synchronization to enhance parallelism, fault-tolerance and scalability. 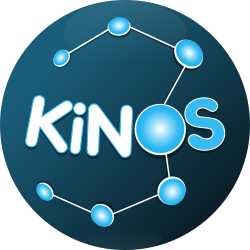 KiNOS has full support for all Thread roles, enables multiple host interfaces for easy integration and deploys power-saving strategies to achieve ultra-low power consumption. Get the best Thread Certified Stack available today and focus on your core business. Kirale’s evaluation tools enable quick prototyping, minimizing development time and cost, and provide designers with confidence that their new products will work as expected. 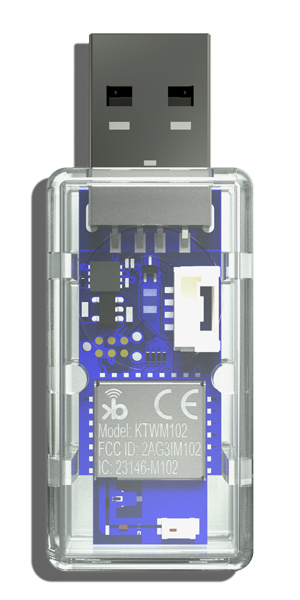 The KTDG102 Evaluation Dongle features limitless options to develop Thread-based products and assess the characteristics and capabilities of mesh networks. It enables evaluation of all available types of roles in a Thread Network and does not require any additional programming tools. Its versatility allows you to configure it as a powerful device that transforms your host into a Thread Border Router or as ultra-low-power Sleepy Device, or simply set it up as Sniffer to capture all IEEE 802.15.4 network traffic. You choose the role that it will play in the network. 4-Pins JST-GH connector that combines GND, 3.3v and two-wires UART port (supplied cable). Two-input power multiplexer that enables seamless transition between two power supplies. Native support for Virtual Serial port, DFU (Device Firmware Upgrade) and ECM (Ethernet over USB) interfaces. The combination of a complete Thread connectivity solution plus integration and engineering support services enables manufacturers to rapidly integrate wireless connectivity into their connected products.